EHT introduces A Christmas Secret! Days are shorter, temperatures are going down, and December approaches fast...Christmas is in the air! And to put you in the right mood for the winter holidays, Escape Hunt Tokyo has redecorated it's lounge and prepared a special goodies for you! You just solved one of our mysteries and you want to relax in our lounge while listening to cheerful Christmas songs? Along with delicious snacks, we will serve you our Winter Special hot drink. Come to enjoy our games, and discover our special treat! ...and a new version of our popular game! As an early Christmas present to all our detectives, and a wonderful way to celebrate the winter holidays, we have revisited our popular Runaway Bride to offer you an exclusive and limited game room. 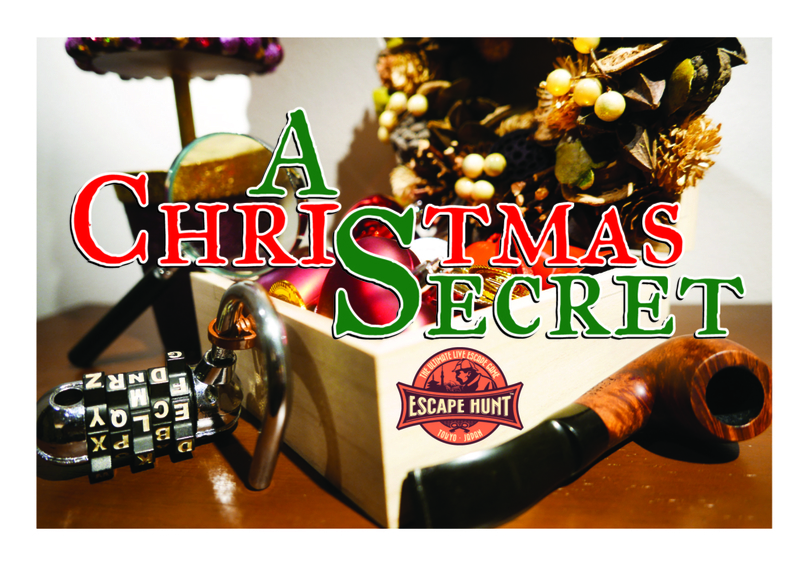 This year, and for the first time, Escape Hunt is happy to present the first Christmas-themed escape game in Japan: A Christmas Secret. As something goes wrong at a very anticipated holiday party, you will have an hour to follow the clues and set things right! Will you take up the challenge and save the (Christmas) day? The Escape Hunt Tokyo team is looking forward to celebrating the winter holidays with you!